Networking Table 7R Future Leadership Institute: starts at 16.00 h, prior to the Oxford University lecture. Venue: University Museum of Natural History café: the new Museum café is situated on the upper gallery over-looking the dinosaurs, Parks Road, Oxford, OX1 3PW. Robert Boyle’s air-pump experiments in 1659 provoked a lively debate over the possibility of a vacuum. 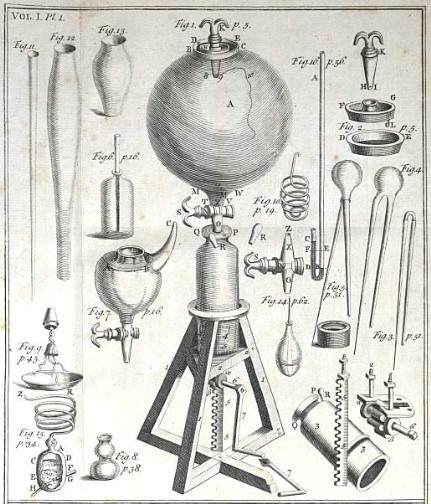 The air-pump, a complicated and expensive device, became an emblem of the new experimental science that was promoted by the Royal Society. However, the philosopher Thomas Hobbes challenged both the validity of Boyle’s experiment and the philosophical foundations of this new approach to science. In their controversial book Leviathan and the Air-Pump (1985) Steven Shapin and Simon Schaffer took up Hobbes’s case, arguing that experimental findings depend for their validity on the scientific culture in which they are made. The historian of science David Wootton will review this controversy and present a new view of the dispute between Boyle and Hobbes. His lecture will be followed by a reply from Michael Hunter, the biographer of Robert Boyle. The discussion will be chaired by Ritchie Robertson (Taylor Professor of the German Language and Literature). This event is co-hosted by the Enlightenment Programme at The Oxford Research Centre in the Humanities, the Museum of the Natural History and the Museum of the History of Science. The lecture itself is free and is open to the public. How Much Of The Amazon Rainforest Would It Take To Print The Internet?